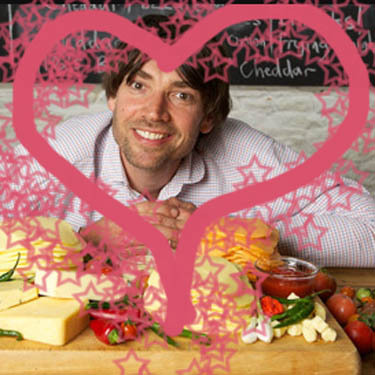 Seeing as last week, we were all gooey-eyed and soppy over the newly lovely, all-improved Nice Alex James, the temptation is clearly to make fun of him all over again. And then I found another video of him: again, alongside another thundering prick man-child in the form of Gordon Ramsey. Again, he shines in comparison – a beacon of pleasantness and calm in the face of a raging self-parody of a human being. Sigh. He’s dreamy. FIRST! Well, why not initiate proceedings with some obtuse art-noise? Astronauta Pinguim out-weirds the very weirdest with a soupy cloud of brilliantly odd noises. Excellent oddness. SECOND! Sun Eater have made the bold decision of making an eponymous track, and Lo! They will forever forth be determined by the impact of this song. OK, maybe not. But if they do, they’ll be considered louche, heavy and lithe. All of which is good. THIRD! Symphonic-Pictures, pleasingly hyphenated, have concocted a clattering slice of swirl-pop that causes all who hear it to swoon over the golden swoops and dips coiled within the melody. FINALLY! Seeing as there’s an On The Road movie cluttering up yor local multiplex at the moment, isn;t it a good time to feature this lolloping, semi-psyche, bourbon-folk track called Jack Kerouac by surprisingly smart ‘n’ snappy band The Wax Collection? Yes, yes it is. Posted on October 24, 2012 by Joe Sparrow. This entry was posted in Headline, Today's New Band. Bookmark the permalink.